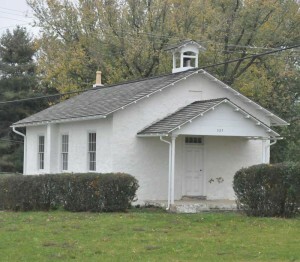 Pocopson Township purchased the Locust Grove School House in 2004 with plans to renovate it and use it for various community and educational purposes. POCOPSON — Communication issues between the township’s board of supervisors and its historical committee may be slowing down progress on the Locust Grove School House project — and potentially could have it up against a June 30 deadline to spend some state grant funds on the project. Sarah Mims, the chair of the historical committee, asked supervisors during their meeting Monday night if there is a way to streamline the decision-making process, either by offering the committee guidelines or having a supervisor sit in with the historical commission. One big concern, she said, was site approval for the renovations to the school house building and site. Some changes needed to the site, Mims said, put the project back two months. Supervisors reminded Mims that the site had to comply with township zoning ordinances, just like any other property in the township, but they would work to try to speed the process up as much as possible. Supervisors were also concerned about a plan to spend $9,400 on a Web site for the School House site — without getting competitive bids on the project. Mims said that the federal grant to pay for the site actually allows $15,000 to be spent in creation of the site and that she and the committee wanted to the Web designer to be able to work with the University of Delaware students that are creating the content for the site — and while the grant money doesn’t have to spent until 2012 before expiring, the students’ school year ends in May. Supervisors said they felt it is important on larger expenditures to seek bids whenever possible — both to save money and offer opportunities to local businesses. “If we’re buying anything over $2,000, we get a couple of bids,” Supervisor Georgia Brutscher said, although she allowed that township committees do need more of a framework and guidelines for paying for such things. In other township news, a historical marker for the Barnard House will be dedicated on April 30 and the township is looking for volunteers to help set up for the ceremony. The process for renovating the historical building and converting it into a township office and meeting room as well as the new home of Kennett Underground Railroad Museum continues to go slowly, as grant money for such projects have virtually disappeared from state and federal budgets. The hope remains to have a couple of rooms in the building open for the township’s Founders Day event in September.